There’s progress at least. When caught, NFL teams and execs apologize for their insensitivity. 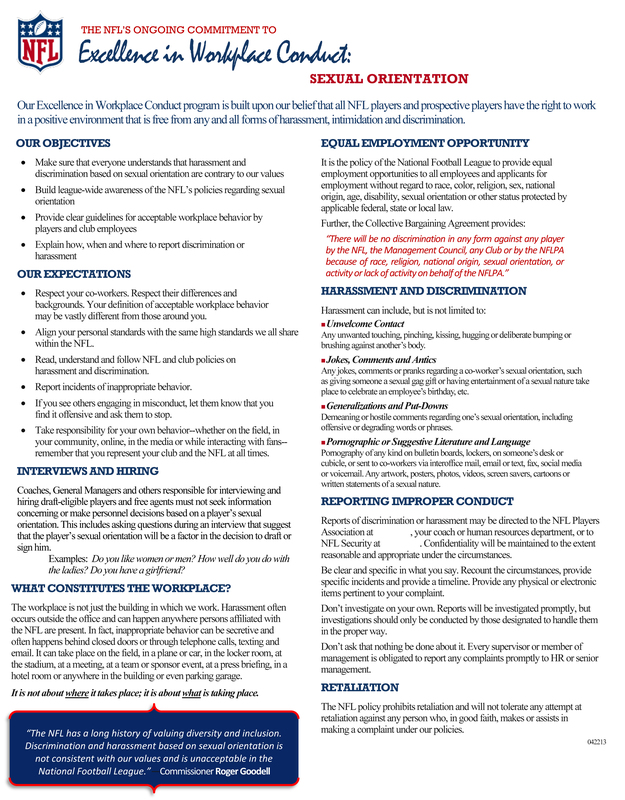 The NFL expresses disappointment and reminds teams that it has a policy through its Excellence in Workplace Conduct program about team officials asking players such questions. But apparently, that’s not enough. The NFL has enough problems right now with its slow-footed response to concussions and stumbles surrounding the national anthem. Asking college kids if they’re gay makes the league look even more out of touch, and worse, it furthers the notion that homosexuality is something to be scorned. It’s time for the NFL to do more than just frown.